It is normal to want to find out about the statistics of something, especially cancer, if you, a friend or a family member has been recently diagnosed. Well, the fact is, first of all, you, or that person, where not the only ones today to be diagnosed. In the United States alone, 11,150 women this year will be diagnosed with invasive cervical cancer. That is roughly 30 females a day, every day, for a year, in America alone. As far as death goes, in 2005, there were 1,061 deaths from Cervical Cancer in the UK. So out of the roughly 60 women who were diagnosed in one day, only 2 didn't make it, which is not bad. From 1955 to 1992 the death rate has dropped slowly from 74%. Women are going more regularly for Pap Smear tests, which reduces their chances of dying from cervical cancer. The earlier the cancer is discovered, the higher the rate of getting rid of it. 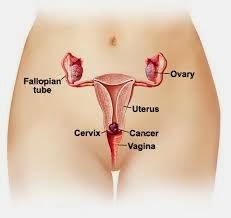 Currently the death rate of cervical cancer is on 4%. The chances are higher that you will be diagnosed during your midlife. About half of woman will be diagnosed between the ages of 35 and 55. Because, as women get older they don't realize that their risk of getting cervical cancer is still high, slightly over 20% of women over the age of 65 get diagnosed. In the UK, 91% of all cases of diagnosed Cervical Cancer are of women who are under the age of 45, the peak incidence being in the 25 to 29 age group. The two factors that come into play when beating cancer are the stage of cancer they are at and the person's age. If the cancer is diagnosed in what is known as the pre-cancerous stage, which is when the abnormal cells of cancer are discovered, but haven't turned cancerous yet, almost every women will be treated and cured. Statistically, it is a 92%. From a medical viewpoint, this is called a "5 year survival rate". This doesn't mean that the women who were diagnosed lives for 5 years and then dies, but that the woman lives at least five years after their initial treatment. The one-year survival rate in the UK was just over 40% a decade ago. The five-year wasn't that much higher. In comparison, for women diagnosed in 2000, the odds have been increased by 20% to 60%. In the last 7 years, their chances have just been improving further. Every year the statistics are getting better and compared to other cancers, cervical is becoming less and less of a concern as the general awareness of it grows. It might seem just another thing to do every year along with the local visit to your GP and the dentist, but the Pap Smear doesn't take that long. Especially it you consider you've the rest of your life as the reward for doing it.